Joel Marcus teaches New Testament with an emphasis on the Gospels and the context of early Christianity within Judaism. 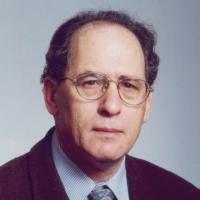 His publications include two monographs on Mark, a two-volume commentary on the same Gospel in the Anchor Bible series (Doubleday, 2000, 2009), and several articles about the parting of the ways between Judaism and the Christianity of the first three centuries of the Christian era. He has a book in press on John the Baptist and is currently working on a monograph on the Gospel of Peter as a Jewish Christian document.